A charity has appointed a new leader to build on their strong work in rural communities. 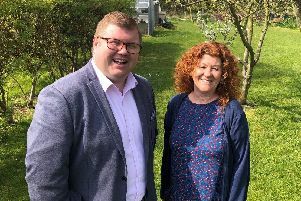 Community Action Northumberland (CAN) has appointed Andy Dean to be the charity’s chief officer, who will take over the reins from David Francis. He will be responsible for implementing CAN’s new strategy which is to focus on benefitting all rural communities in Northumberland and for CAN to become ‘a voice for rural communities’. Andy, who is head of regeneration with Northumberland County Council, said: “I am delighted to have been appointed to this position and am looking forward to the challenge of leading CAN to assist rural communities to become more sustainable and help people to improve their daily lives”. CAN’s existing director, David Francis, will continue as director until his retirement in March 2016, but with specific responsibility for the work that CAN does for the Northumberland Association of Local Councils (NALC).